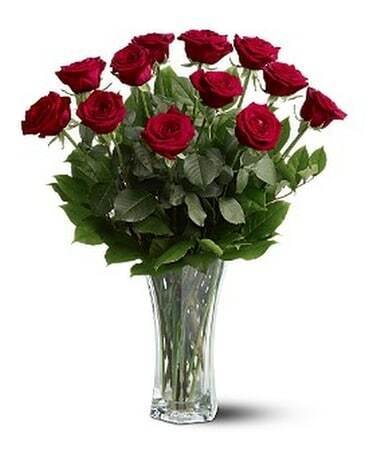 Missing someone? 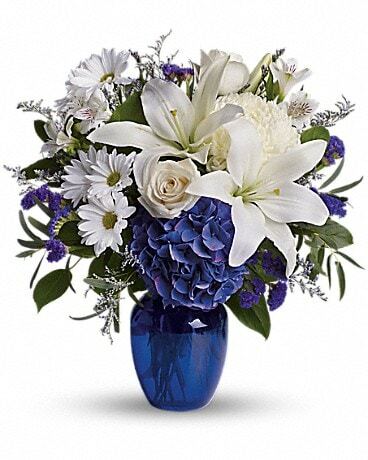 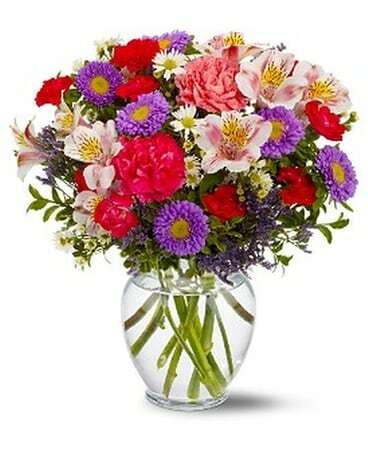 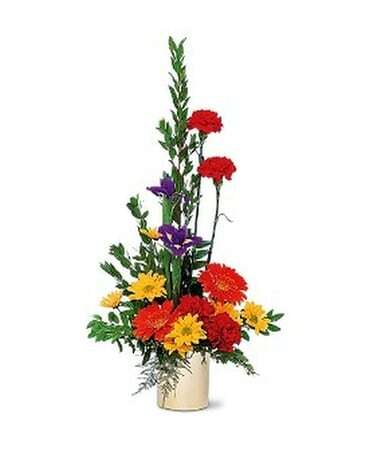 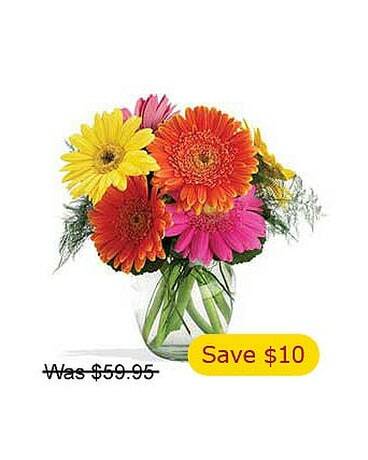 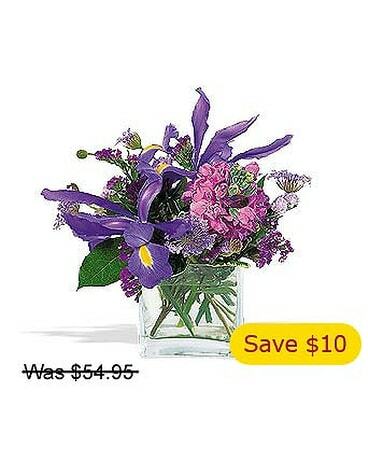 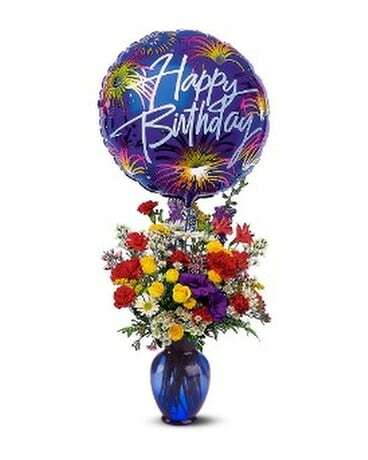 Let them know just how much with this stunning arrangement of blue and purple blooms. 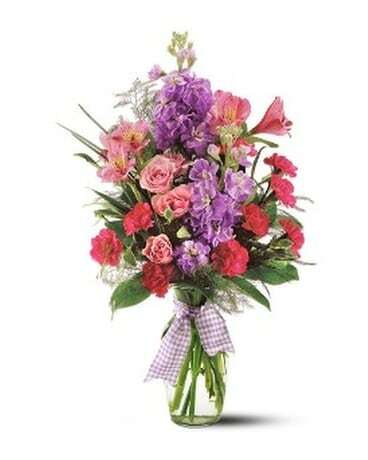 Purple and blue iris, asters, scabiosa, statice and stock arrive in a square glass vase.